This replacement power adapter can provide a power source for any electronic device with an M-type barrel requiring up to 9 volts and 2 amps of power. The adapter is a perfect replacement for the lost or damaged power adapter you've used to power your existing electronics. 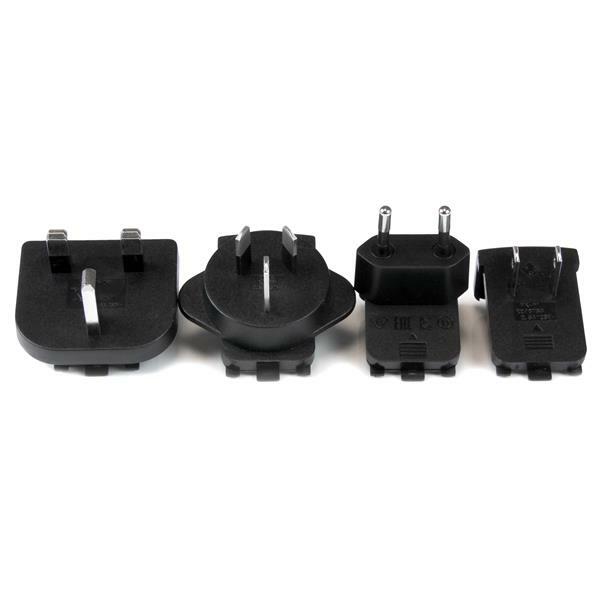 When downtime isn't an option, keeping spare power adapters on hand ensures that you won't be left waiting for a replacement to arrive or have to replace your devices just for the sake of a compatible power source. For frequent travelers, this power adapter saves you from buying multiple adapters. 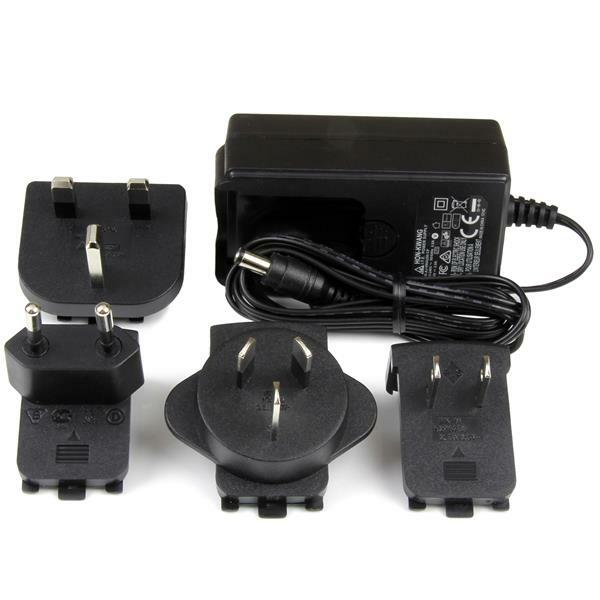 To ensure it will work in your region and the region you're traveling to, the power adapter features 100-240V automatic switching and regional clips for North America, Europe, United Kingdom and Australia. The SVA9M2NEUA is backed by a StarTech.com 2-year warranty and free lifetime technical support. How can I tell if this will work with my device? When selecting a power adapter to be used with your device, it’s important to know the voltage, plug type, and amperage that you need. The voltage and the plug type must be an exact match for what is required. The amperage of the power adapter must be the same or higher than what is required for the device. For example, the SVUSBPOWER has the appropriate specifications to be used with the SV231USB.